If you experience problems with the website please use Google Chrome. Download Chrome Now! 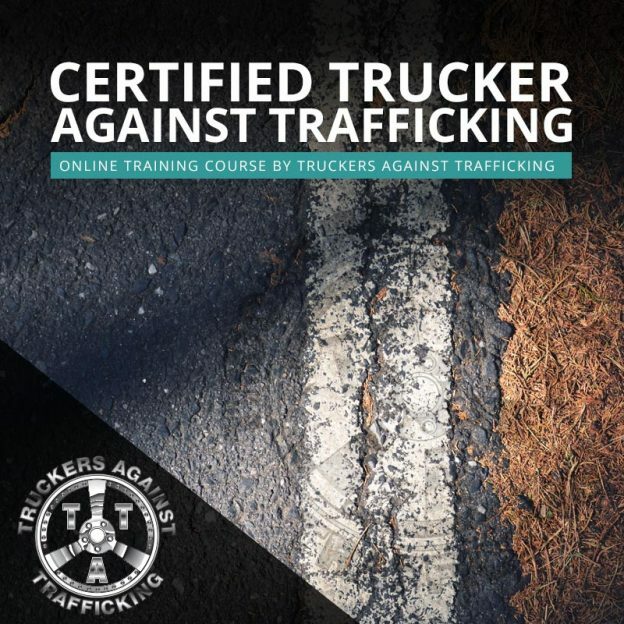 In order to complete this certification program, you must demonstrate your knowledge of the issue of human trafficking and how a member of the trucking or bus industry, like yourself, can play a vital role in combatting this crime. Our training video will educate and equip you to understand this issue and, more importantly, empower you to take the steps necessary that could end up saving a life. You have the opportunity to be an everyday hero on the frontlines of this issue. Join us in this important work and help us get pimps and traffickers arrested and victims recovered. Become a certified TAT-Trained driver. Complete the registration below and then watch our training video and take a short quiz. This entry was posted on February 2, 2017 by Laura Cyrus.